Welcome to the library at BUMC! Find items to inspire, inform, challenge and support you and your family. LOCATION – The Church Library is located in Room 21, at the end of the Education Wing, down the hall from Fellowship Hall. HOURS – The Collections are available on a self-serve basis whenever the church building is open. ADULT COLLECTION – Books, DVDs, CDs and magazines are available on a wide variety of topics including Bible study, fiction, biography, parenting and comparative religion. 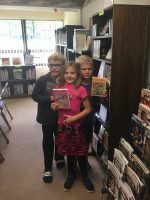 CHILDREN’S COLLECTION – Items are available for nursery age (board books), Pre-K to Grade 2 (picture books and storybooks with CDs) and Grades 3 to 6 (junior readers and chapter books, including Graphic novels). Also children’s Bibles, reference, a section of special topics and Early Readers. YOUTH COLLECTION – Books for Grades 7 to High School include adventure, romance, science fiction, biography and issues such as dating, parents, school and friends. MEDIA COLLECTION – DVDs and CDs for all ages including full-length feature films, contemporary Christian music, animated Bible stories, Sunday School sing-alongs, value oriented children’s entertainment and documentaries. FINDING BOOKS – To find an item in the library, note the title and call number. This will indicate the Collection, Classification (this library uses the Dewey system), and first letters of the author’s name. Bookcase and shelf labels around the room should be sufficient to help locate the item. RETURN POLICY – Please sign out each item. Books are to be returned in 2-4 weeks. DVDs, CDs and other media are to be returned in 1-2 weeks. Leave a request for any item you cannot find and you will be notified as soon as it is available. Leave a note with any suggestions you have! 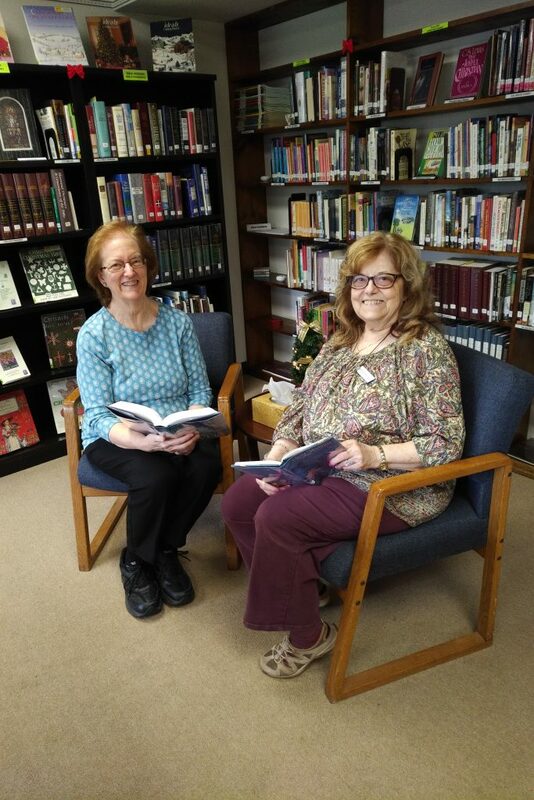 Since 1987, The Library Ministry has been led by Arline Cox. Since 2002, Linda Janci has served as Children’s Librarian. To join the Library Ministry, contact Arline at library@bridgewaterumc.org. Opportunities include library promotion (writing reviews), circulation (inventory and following up on overdue items) and maintenance (mending books and media).